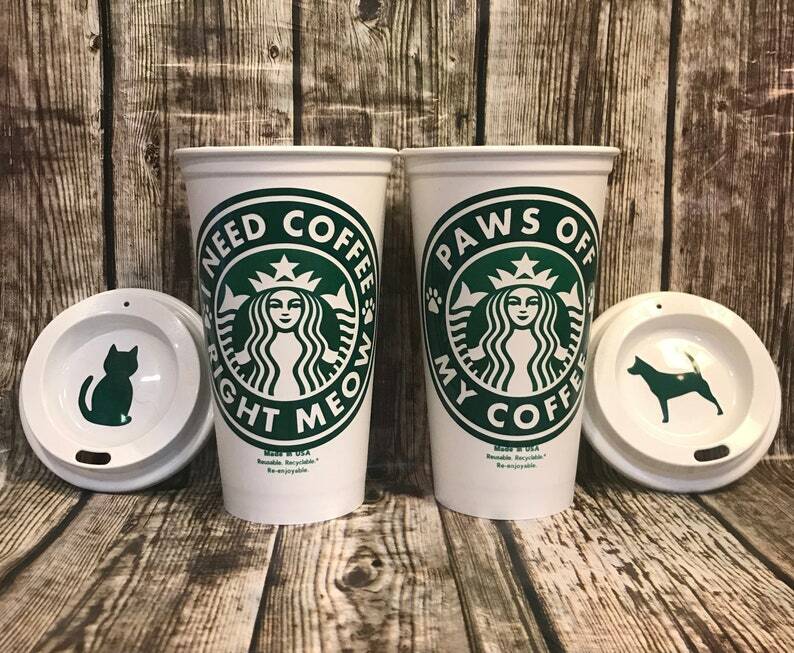 Starbucks Coffee Cup "I need Coffee Right MEOW", "PAWS Off My Coffee" Funny Pet Gift Idea • Coffee Tumbler • Travel Coffee Mug. Also popular is "This Might Be Rum" and "This Might Be Vodka". 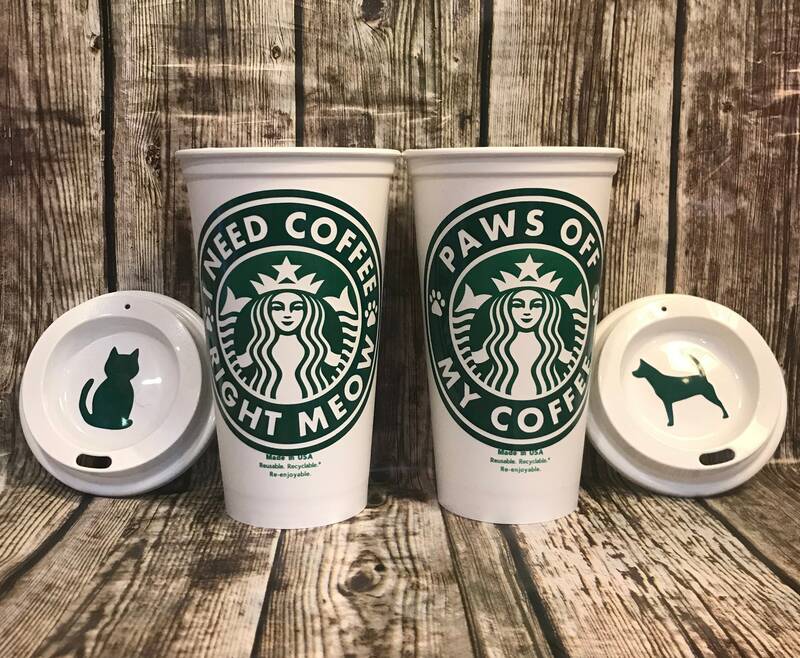 *Genuine Starbucks® Reusable Cup Personalized with a funny saying. 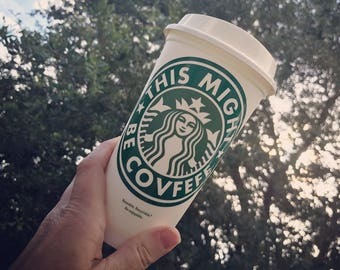 The size is 16 oz Grande. 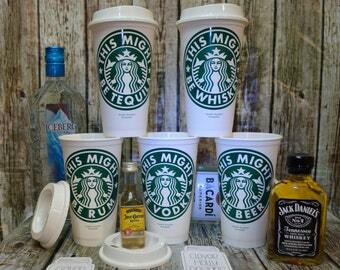 This travel cup will make the perfect coffee, wine or mixed drink (Rum / Vodka) gift! I do everything possible to make sure that this is a quality gift that I would like to receive myself. This great gift idea comes to you well packaged in a clear cello bag with a twine bow... add a Starbucks gift card and you're good to go! Options and Colors: The color shown is Forest Green (which matches the Starbucks Logo green color). Another nice extra is that I can add a hand written name to the back of the cup. I use a special black vinyl that looks like the barista wrote it with a black sharpie marker. And the bonus? 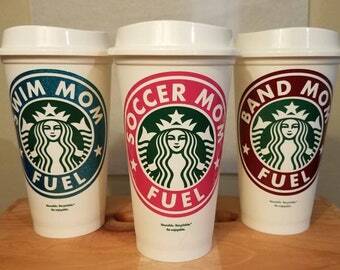 Because this is a genuine Starbucks Reusable Cup you get 10 cents off at Starbucks each time you use it! BAM! All shipping is discounted on 2 or more items. Hand washing recommended for long lasting enjoyment. 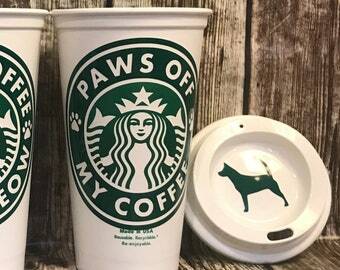 *This is a Genuine Starbucks® Reusable Cup sold in Starbucks Stores. 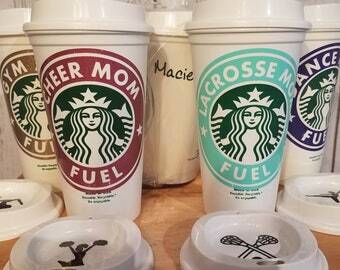 You are receiving the cup free and paying for my time and the personalize portion of the cup. Gave as a gift. She loved it. Thank you! 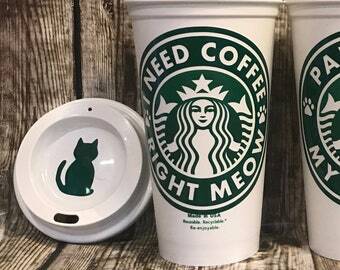 The cups are flawless and look expensive and high quality. The personal touch of written names makes them really special. 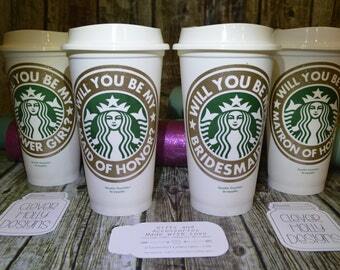 My bridesmaids LOVED them.